Bunches of Bright Coral Blooms! 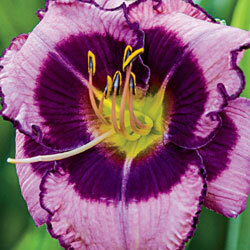 Let these fragrant, lavender-purple blooms with bright yellow eye zones take center stage in your container garden! Ruffled, picotee edge, 6" single blooms. 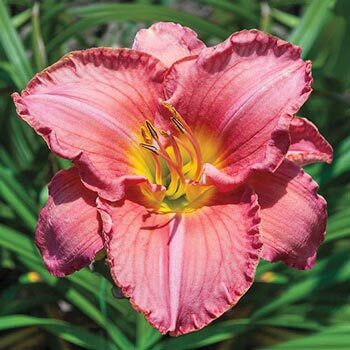 These spectacular daylilies add gorgeous color and classic form to any garden or flower bed. Germination Dig a hole large enough to accommodate roots without bending them. Firm soil around roots and water in well. Planting Instructions: Soak the roots for about half an hour. Loosen soil well before planting. Top of plant should be just below the soil. Space 24". Water well after planting.